Hello Bachelor Nation! We are deep into Colton’s season of the bachelor, and I--like many of my contemporaries--am slightly bored with this season. The one thing that keeps us coming back for more week after week is: Is Colton going to jump the fence? Why does everyone care? This fence jumping has been in the previews for weeks now. We haven’t seen it yet. It is unlikely that he will do it at hometown dates, so when? Why am I getting frustrated about a guy getting frustrated that he has to jump a fence? Will I find a fence to jump? Who knows at this point. I think the reason behind all of this is simple: this season is lacking real drama. There’s been small spats between the girls, but nothing lasting for more than a couple episodes max. Chris Harrison never steps in to really help Colton with his frustration- he’s just talking himself through these problems. With the fence jump, we’ve finally got some action. It’s exciting and new. Every season is filled to the brim with people who “aren’t here for the right reasons” including the bachelor or bachelorette themselves. There hasn’t been a bachelor who has tried to leave the show. Plus we have Chris Harrison, the real star of the show, back in the game. He legit looks concerned and worried, which is something we haven’t seen in a long while. 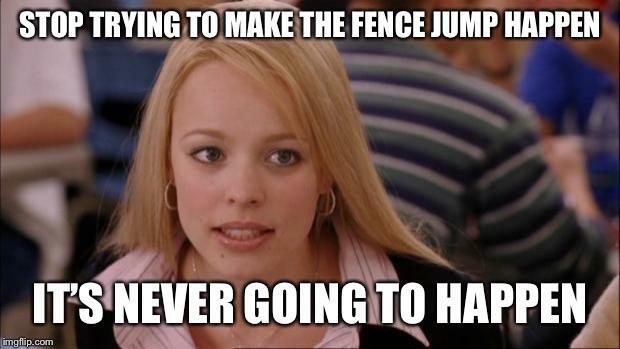 So, all these memes about when Colton will jump the fence or people saying they only watch the show for when Colton jumps the fence make perfect sense. 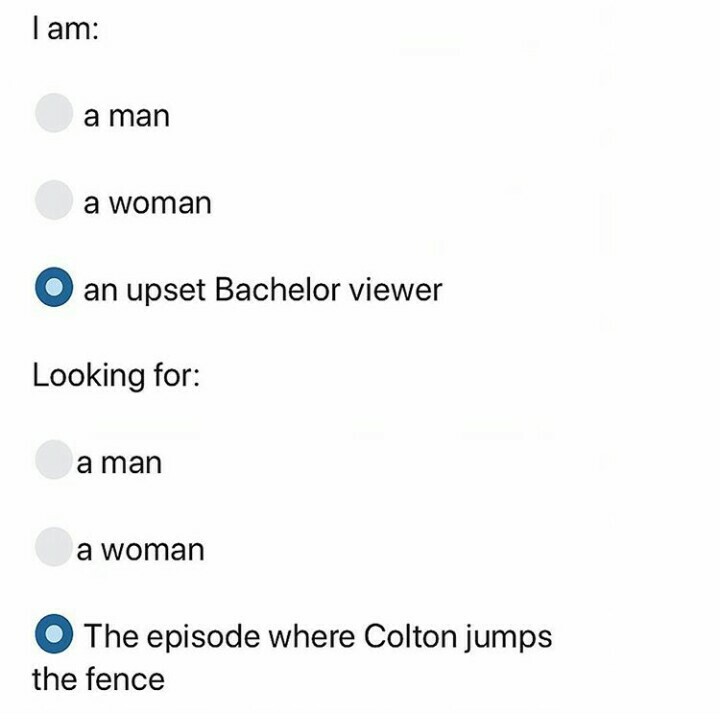 On the other side of things, it makes even more sense that this fence jump hasn’t been shown just yet, because every current season has to be the most dramatic season of the bachelor, and once Colton jumps the fence, the intrigue is over.